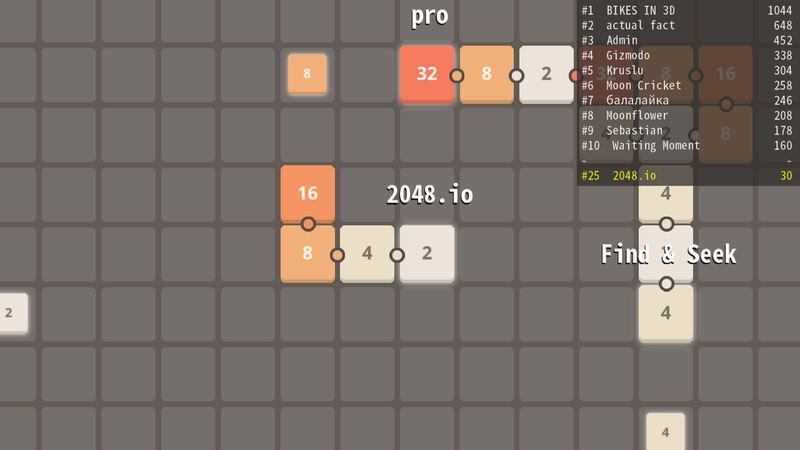 2048.io ! Check out the latest game by New Leaf Studios. It seems simple at first since the game is very easy to handle. But beware, it might be a bit harder to master. The classic building of 2048 puzzles is a fun, addictive and a very simple number puzzle game. 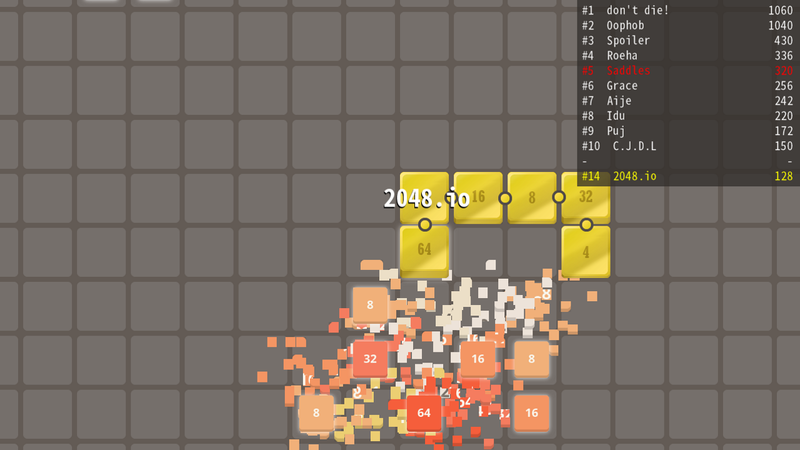 You join the numbers and get to the 2048 tile! This 2048 game is an upgraded version! 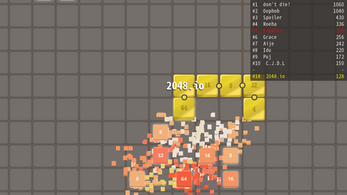 This is a super 2048.io + puzzle. Be ready for a new challenge! Whether you’re bold or careful, outwit your opponents by finding the best strategy to get the largest tiles. Stay cautious, you have a weak point : your head. If it is ever touched by an opponent, you are dead. After the success of Light-Bikes.io, New Leaf offers a new and fun experience inspired by io type games (popularized by other .io games). 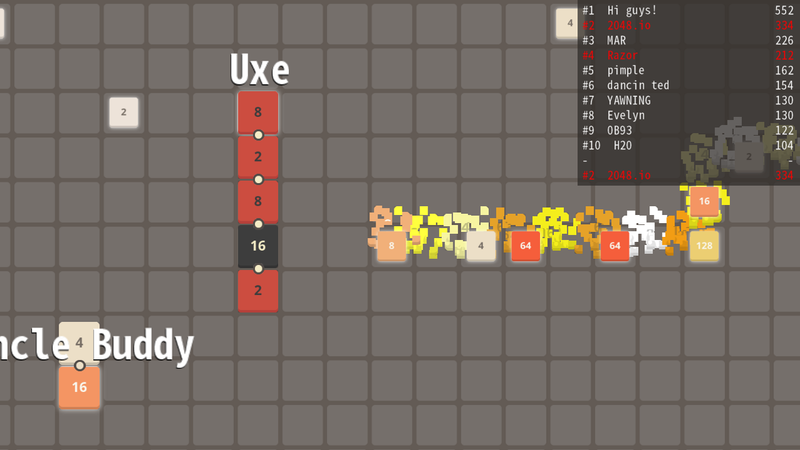 Find the simplicity and strategy on an io game within a unique puzzle universe. 2048.io is for the whole family!